HeyPlantMan! 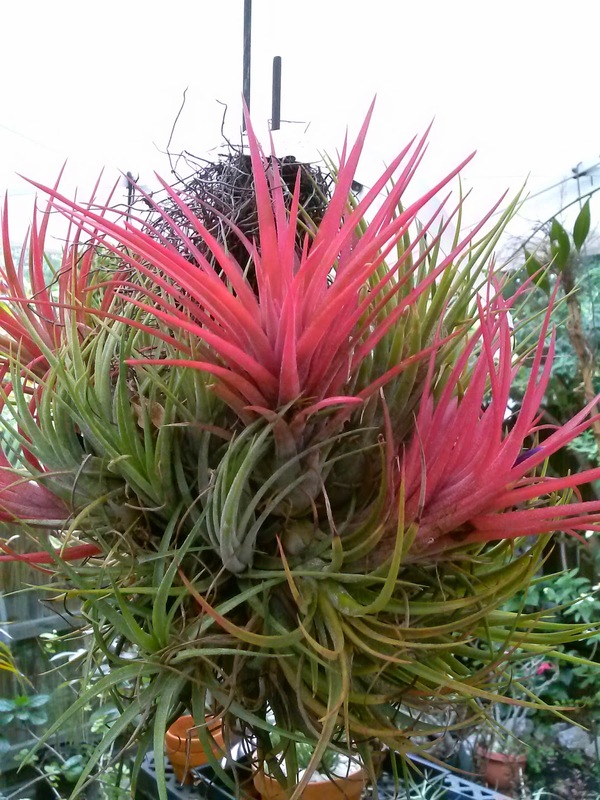 Exotic Tropical Plants from St. Pete FL: Bromeliad (Air Plant) Auction this coming week ! 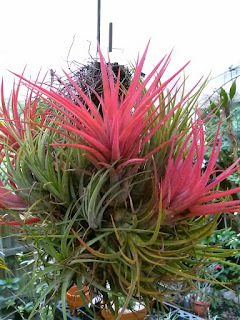 Bromeliad (Air Plant) Auction this coming week ! Greetings all, we want to tell you about something that may interest you ! You know how we have all these fantastic Tillandsias at market? Tillandsias which are part of the Bromeliad family (Air plant) family - well, there are a gazillion varieties out there and many of you are, or have thought of, starting a collection of them - why? Because they are the ultimate low-maintenance plant, which bring colors and joy to many, especially those of you who don't have much room for gardens ! Mitch & I don't have a lot of spare time in our gardening world, but one thing we make room for is our membership in the West Coast Bromeliad Society. 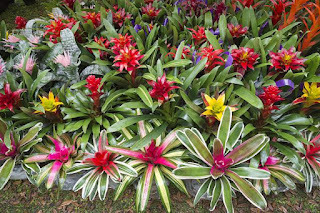 And this coming week, Tuesday night, May 3rd, the Society is having their Annual Bromeliad Auction and we want to encourage you to come and check it out! This yearly auction brings specimens provided by members and Bromeliad specialist around Florida, and if you have ever wanted to explore this area of gardening, this is the event for you ! First, it is FUN, and there's food- yes, you don't have to cook dinner that night !! yes, members all kick in to bring some goodies, and as our guest, don't feel obligated to bring any if your time is tight --you are welcome to partake of plenty of goodies :) If you want, cook/bake a small thing to bring to share, or hit Publix etc, but again, no obligation, we just want your company. The auction is great fun, where you can preview items up for auction, and there are door prizes too ! Just want to come and check it out ? No pressure to buy, but believe us, when you see some of the gorgeous, rare and unusual specimens, it gets the Air Plant juices going ! The Bromeliad Society, throughout the year, has a monthly meeting, with special guest from around the area that bring you great information about Bromeliad gardening but we always look forward to this night when great camaraderie, great food, and great plants come together. Dont' like crowds? Shy about meeting strangers? As our guest, we will make sure you are felt welcomed and you can't find a more welcoming, laid back crowd than our group. Our great friends and Market helpers, Larry & Susan Sousa are an important part of the Association and we will make sure you get a seat with us to enjoy the festivities. So think about it, and if you have the time this Tuesday night, from 7-9pm-ish, we would love to have you come and check it out. 7pm - Food, Auction till the plants are gone ! Want more information? Dont' hesitate to email or call me and Mitch !